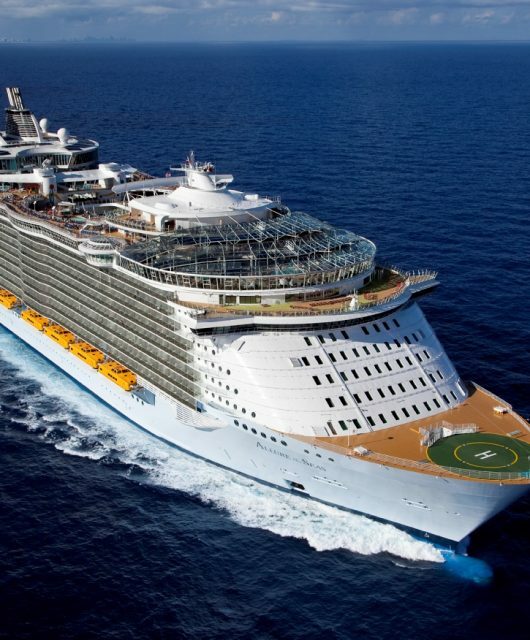 The Royal Caribbean fleet is synonymous the world over with unbridled thrill, extraordinary features and experiences that leave indelible memories of a lifetime! So when you hear news of one of its most celebrated ships getting a makeover, you can only imagine the new adventures, the spectacular culinary delights and the unforgettable experiences that await onboard. 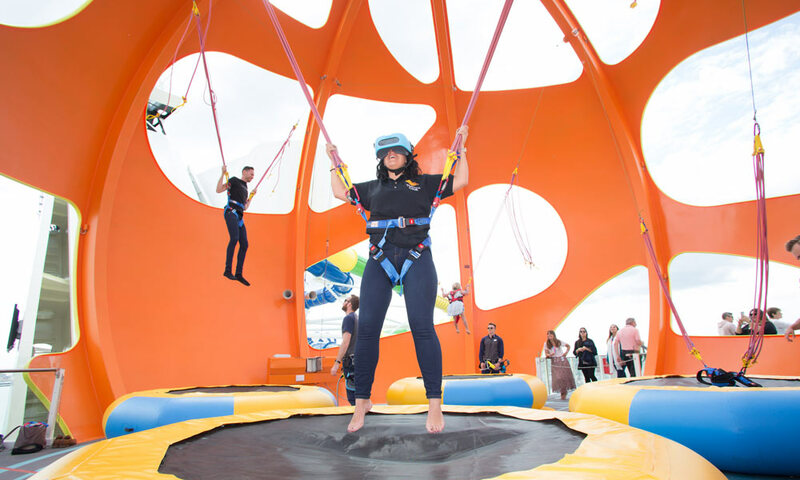 The Sky Pad: The Sky Pad is one of the most exciting and talked-about additions that Royal Caribbean has announced for its fleet and it has made its debut on Independence of the Seas, the favourite ship of the Brits. 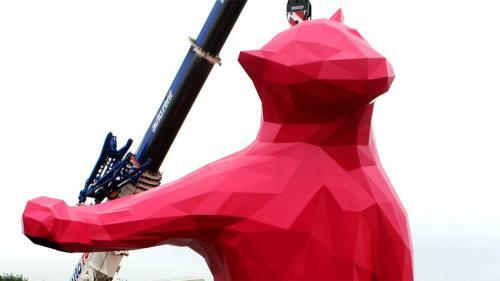 The out-of-the-world experience blends virtual reality and bungee trampolines. Sounds like the ultimate treat for adrenaline junkies, doesn’t it? 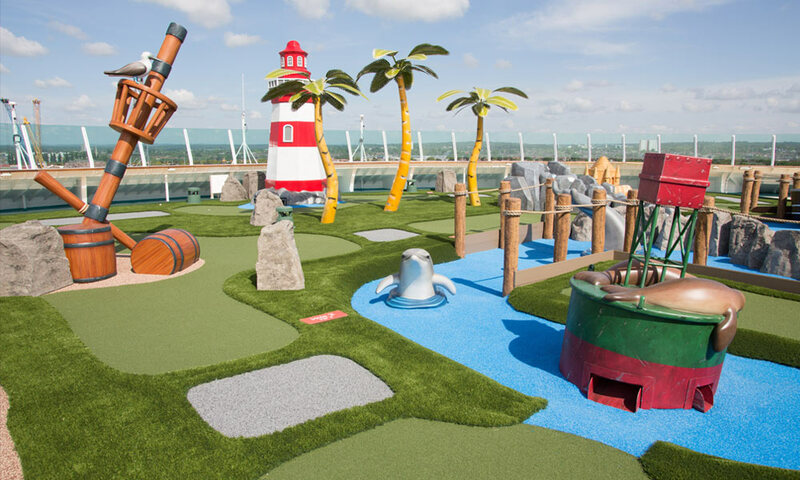 Located on the top deck of the ship, The Sky Pad, comprises four trampolines. Guests will get VR headsets which will transport them to another time and planet. They will be placed in a bungee harness to bounce over moon craters or compete in intergalactic games. New thrills, ahoy! Aquatic escapades: Bigger and better than ever before, Splashaway Bay is a go to place for the most exhilarating water park adventure with for kid’s. 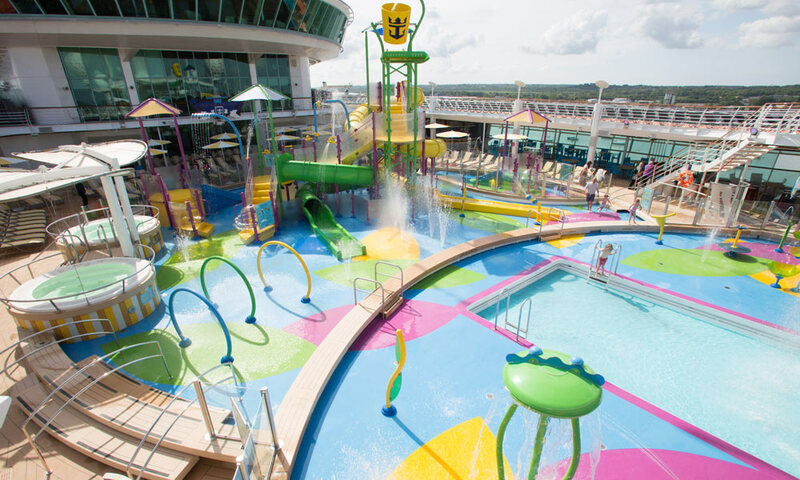 Water cannons, bold waterslides, fountains, pools, whirlpools and a drench bucket make this new addition a perfect amalgamation of everything that kids need on a holiday. For the slightly older kids, there is the Perfect Storm – a duo of high speed waterslides called Cyclone and Typhoon, three stories high! 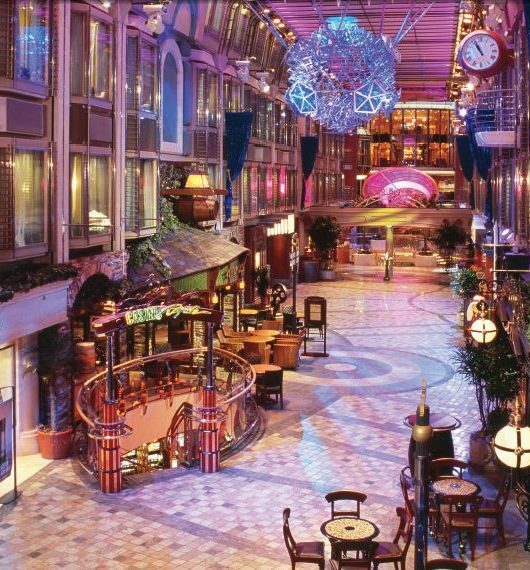 Something for the sports fanatics: If you’re into sports, you’re going to love the amped up Independence of the Seas. Not only does it boast of ‘Independence Dunes’ comprising a mini Golf course with brand new greens and epic ocean views, there’s also the magnificent Playmakers Sports Bar & Arcade. It features a vast number of gigantic TVs where you can watch live sporting events all day over chilled beers, wings and sliders that too in the middle of the ocean. If this isn’t paradise for sports buffs, we don’t know what is! Games galore: If you thought that the family entertainment and activity options we’ve listed so far are all, you’re wrong. After all it’s a multi-million-pound re-imagination. So if you somehow run out of things to do, you can also put your mind to test with your family at the new escape room experience, Puzzle Break. With only 60 minutes of play, you’ll be racing against time to work out the clues and solve a series of high-tech riddles to unravel a mystery. Still looking for more fun? 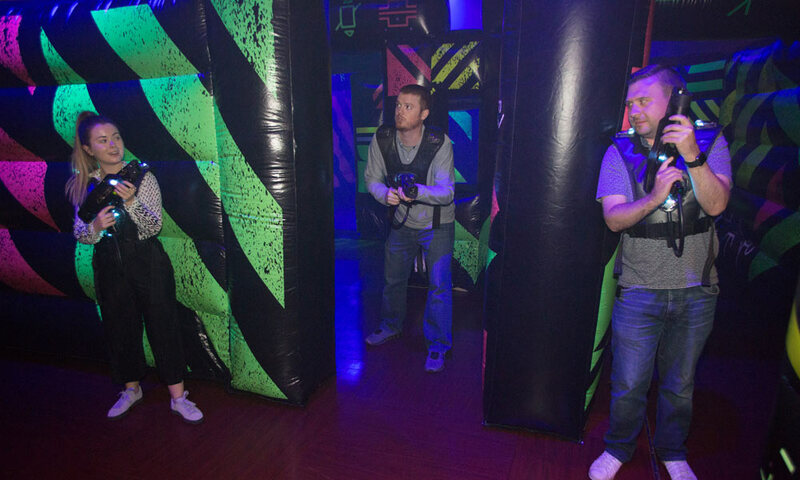 Well, just hop across to the glow-in-the-dark Laser Tag experience and team up with your kith and kin to play the “Battle for Planet Z”. Gourmet’s Paradise: What’s a family cruise vacation without outstanding food that has us all licking our fingers in glee? 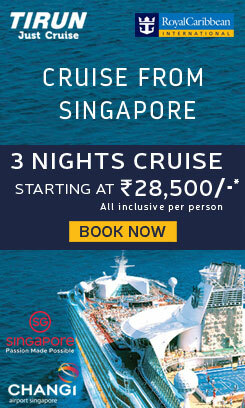 Independence offers more than any connoisseur can ask for in its new upgrade. Izumi Hibachi and Sushi is the new Asian-inspired dining experience that gives guests a chance to dig into some fresh Sushi and Teppanyaki. The largest Izumi on the fleet with five Hibachi grills truly promises to be a sensory experience for guests. For a slightly more casual dining experience, you can head over with your little ones to Fish & Chips – the quintessential “British” seaside seafood spot where a basket of freshly battered cod and crispy hand-cut chips will make your day! 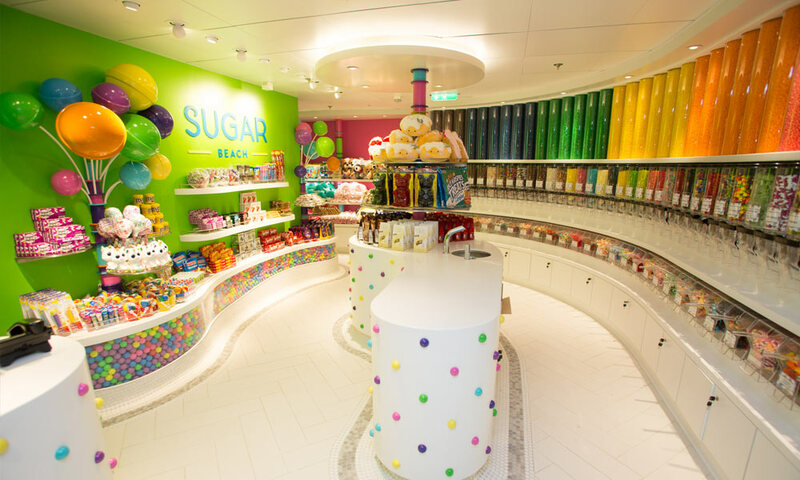 To satisfy your sweet tooth, you can wind up at Sugar Beach which houses almost every variety of candy under the Sun! A sweet spot, indeed!